From a total rebrand to bringing your brand a voice, you speak, we listen. We work closely with our clients to deliver professional and engaging branding that speaks to your audience. Our in-house creative team can create logos, brand guidelines, business cards and websites to show off your new branding at its best. See our other services to discover how we can propel your new branding across other digital platforms. Your businesses' brand should communicate your personality whilst engaging your target audience. 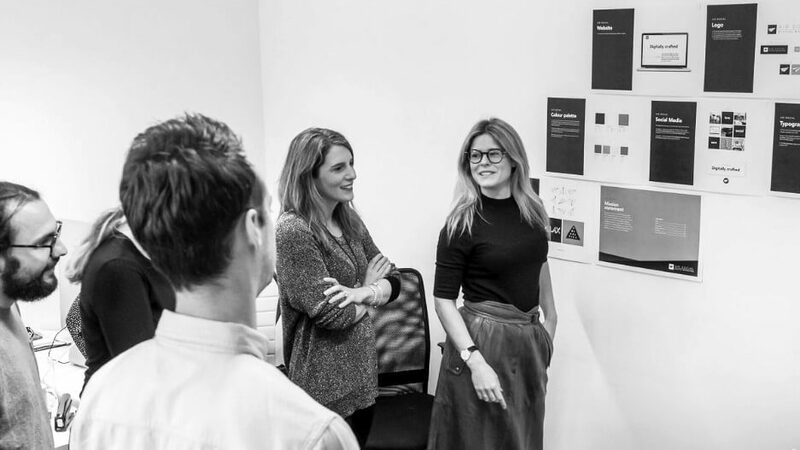 Our experienced creative team are experts in understanding what gives a brand a strong presence in an often crowded marketplace. Your brand is valuable. Ensuring your business presents itself consistently across all channels is vital when building a memorable and trustworthy identity. Our brand guideline creation service supplies businesses with a complete set of organisation-wide guidelines that will keep your brand in-check. "Air Social re-branded my company, set up an amazing web site, designed my logo and gave me a lot of advice on setting up my new company. Professional and friendly from start to finish, always available and always willing to help."